Thanks to many generations of selective breeding, today's chickens can lay eggs almost on a daily basis. The combination of this artificial selection and better nutrient quality allows hens to start laying more and larger eggs from a younger age with improved feed conversion. 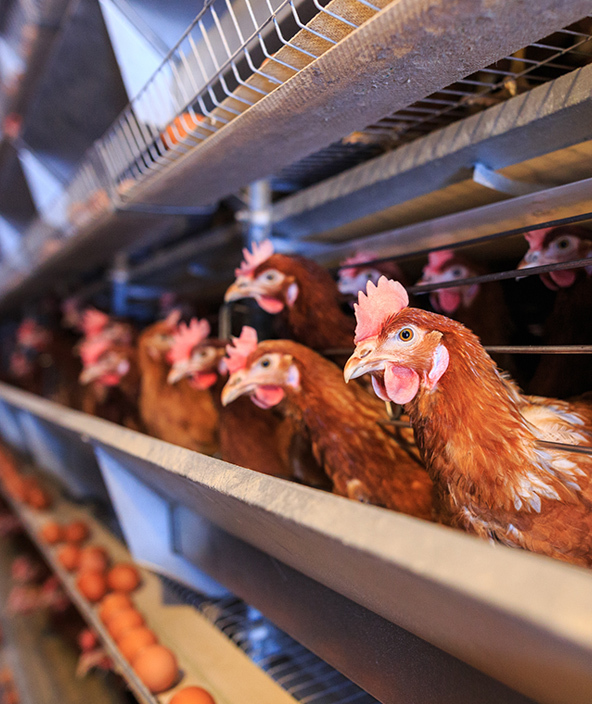 Multifunctional feed supplements have beneficial effects on the efficiency of egg production and the actual quality of the egg. Colibacillosis , spotty liver syndrome, dirty eggs, salmonella are some of the challenges that can be overcome by integrating Innovad technologies into the feed or applying via drinking water. Have a look at the solutions below to learn how Innovad can support with managing a healthy, productive flock of laying hens.